I previously posted about how I went muffin crazy at the grocery store because I was starving. 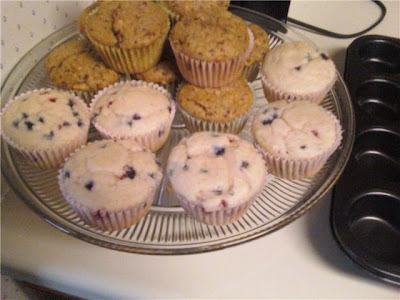 I made both kinds of muffins on Friday, and they were great. Check it out. 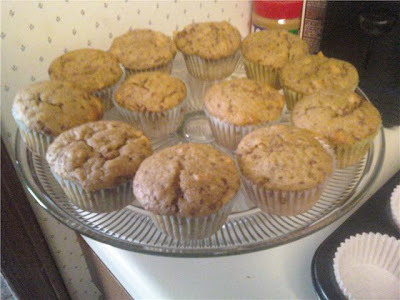 These are the Fiber One muffins. I liked these the best. They are apple cinnamon. There is a picture of the package in a post from a few days ago. 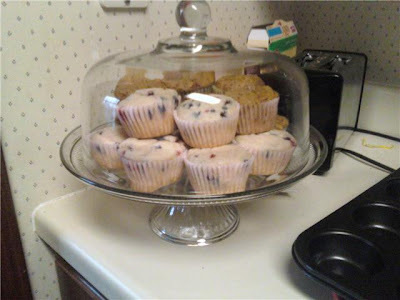 The lighter ones are the blueberry muffins. Josh liked these the best. They were very easy. All you had to do was add water, but the package only made six muffins, which is fine for us. 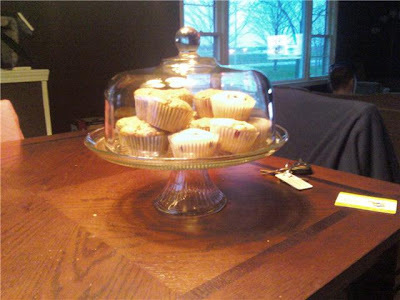 The muffins in my new wonderful cake plate. I love it.